Unless you’ve been on an extended vacation to the top of Mt. Fuji, you’re hopefully aware that the iPhone X has officially launched and it’s more than ready to transform your approach to golf and even improve your game. Paired with either Apple Watch Series 2 or 3, or even on its own, iPhone X promises to at least save you money over that new set of custom fit irons, and even give you the chance to improve your swing, consult with a PGA pro and experience your dream course through augmented reality. Once, or rather supposing you’re able to put all the hullaballoo aside, iPhone X actually sports a few new features that will help you if you’re serious about using technology to manage and improve your game. Improved Battery Life - With Apple’s new A11 chip, and the addition of an extra battery, the power management in iPhone X, which compared to your old iPhone 7, results in nearly two hours more shot analysis, range finding, and catching that mythical ace on the 9th hole on video ...So no need to worry about losing power when you need to book 19th hole dinner reservations. Facial recognition -The Touch ID sensor/Home Button has been replaced with facial recognition technology. 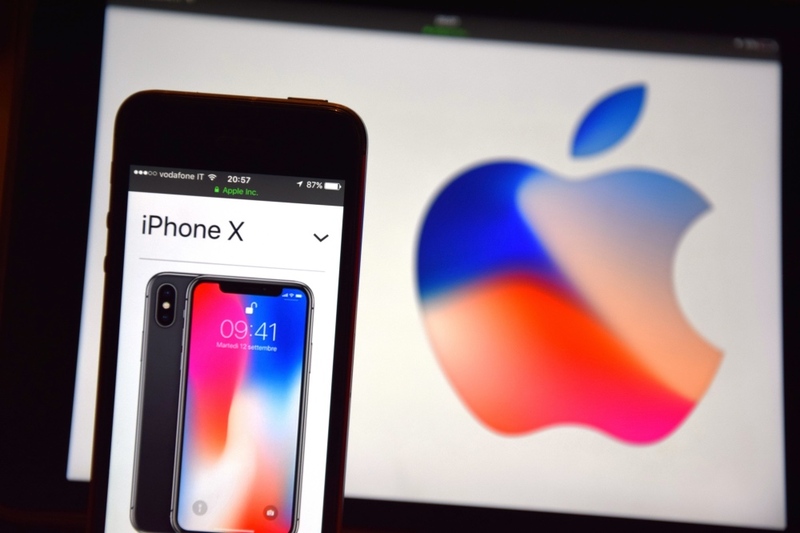 The Apple name for it is Face ID, and actually combines an infrared camera, dot projector and other technology to securely recognize and store your facial data on board. No need to take of your glove(s) when you want to unlock your phone to record your score or check the distance on the next hole. Just look at your phone and it’s ready to go...instantly. Wide Angle, 12 Mega-pixel camera - The even wider field of view of the iPhone X camera will help you capture those swing analysis videos with even greater detail while keeping your phone closer to you. With its f/2.4 lens, the iPhone X camera outperforms other models in low-light situations with stunning images. Some of the new features like looping or long exposure will allow you to capture extra special shots that all of your friends in the clubhouse will envy. Excellent water resistance - Stay consistent with your swing analysis, no matter the weather. With IPX7 water resistance, you can shoot in the rain or even shoot while enjoying a dip in the pool at the clubhouse. Don’t keep it under for too long though. Any more than 30 minutes and you’ll be headed back to the Apple Store for another. Edge-to-Edge Display - With the larger 5.8 inch OLED screen, watching videos taken with your camera, using your swing analysis app in much more vivid detail, all without having to carry a larger phone. Excellent compatibility with Apple Watch Series 2 and Series 3 - Use a number of Apple Watch compatible apps and functions to enhance your game including shot racking, course information and even access the rules in a snap. Check some options for Apple Watch apps to use with iPhone X.
Augmented Reality - Imagine opening an app and having the distance to the pin or other important terrain information about the hole you’re about play appearing in real time on your screen. iPhone X with it’s screaming fast A11 processor is ready to accommodate a whole new genre of apps to make your game beg for a PGA Tour card! True Tone Screen Technology - The new OLED screen is managed by the amazing new iOS 11 on the brand new A11 chip, and while using sophisticated light sensing components, automatically adjusts screen brightness to the environment. While this might appear to be most useful in darker areas, it’s also an invaluable feature when you’re on the 13 tee and want to double check your shot on the GPS app. No worries here, iPhone X can adjust the screen brightness to make it easily visible in bright sunlight as well. First there was GPS and mapping of your favorite courses. Then came keeping score and even using your watch to check the data for the next hole. For golfers who embrace a new approach to the game to enhance their golfing experience, iPhone X is ready to redefine the marriage of sports and technology.